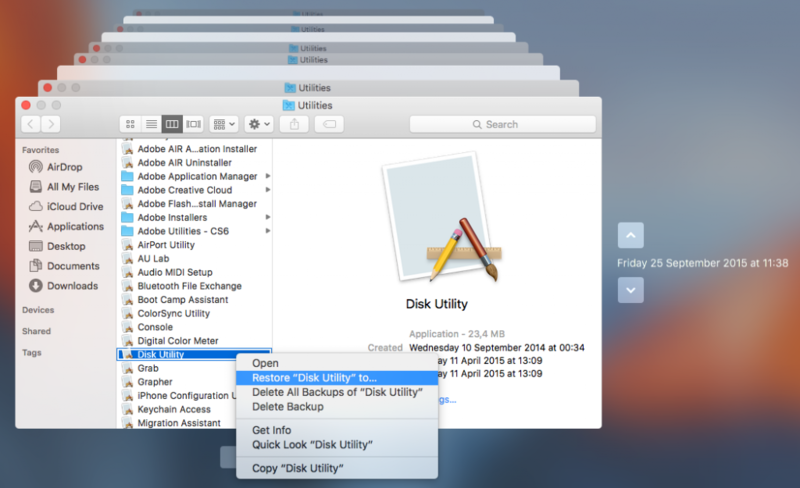 The following patches will give you a Disk Utility with debug mode on and advanced image options on by default and capable of running on El Capitan. I had automated this process with a utility but I haven’t tested it recently. If you want to try it google injectDiskUtility.zip. Have also a little app called extractDiskUtility that extracts the Disk Utility.app from the Install OS X Yosemite.app and another diskUtilityPatch that automates the following patches. My version check is patched differently. It patches the JNE to JMP instead of JE. To apply the patches copy the each of the perl commands, paste to terminal and replace [Drag & Drop Disk Utility binary] with the path to the Disk Utility binary, usually accomplished by drag and dropping to terminal. debugMode can also be achieved by drag and dropping the Disk Utility binary on a terminal window and adding –debugMenu at the end. The patched Disk Utility, as per these instructions, works OK under 10.11 but NOT under 10.12. 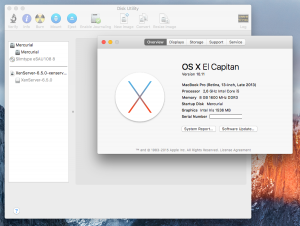 I initially tried using the Disk Utility that came with OS X 10.9 but the checksum did not match. I dug up a copy of a 10.10 installer I’d saved, and installed 10.10. I grabbed Disk Utility from that installation, and the checksum worked. 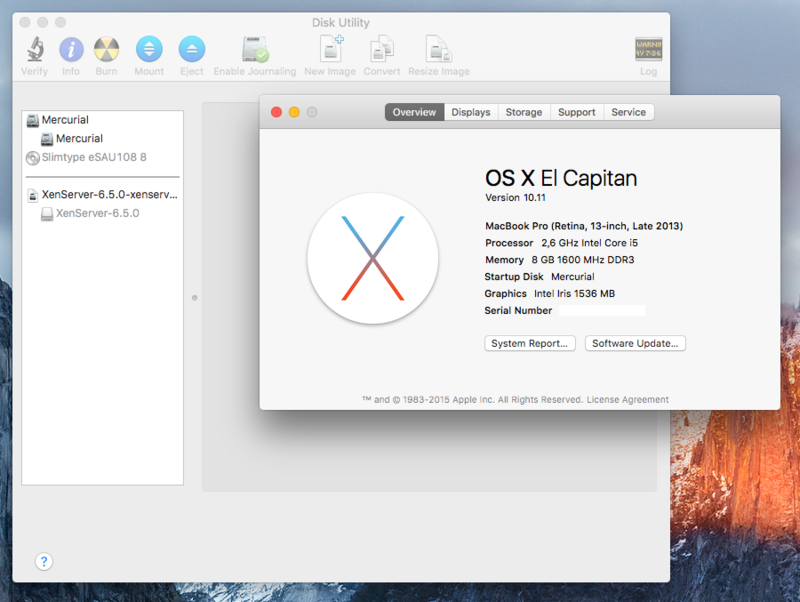 Disk Utility is listed as version 13 in both the 10.9 and the 10.10 versions.